A friendly welcome awaits your arrival to 8 spacious 1-bedroom self-contained units with full kitchen facilities and 4 new studio units, two with wheelchair access. 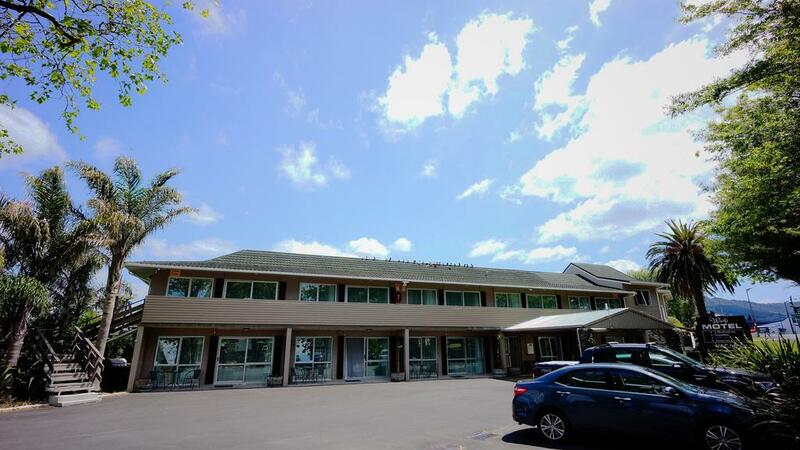 Recently refurbished with double glazing windows ,modern facilities and stylish decor, the Waihi Motel offers singles, couples, small families and business travellers the perfect Waihi accommodation. Private outdoor balconies and garden areas for your enjoyment. Full laundry facilities available. Breakfast our speciality, and other meals by arrangement. Internet kiosk on site. 10 minutes to the finest beaches, scenic walks and historic places. Located in the centre of the town close to shops, restaurants, cafes and hotels. 100m to shopping, cafes. 500m to Martha Mine and other mining information and memorabilia. Our motel in the historic gold-mining town of Waihi is a great base for your travels around the Coromandel Peninsula and Bay of Plenty regions of New Zealand. We are only 145km from Auckland. Enjoy the numerous walkways in the Karangahake and Waikino Gorges, our beaches for surfing, swimming, fishing and your enjoyment..